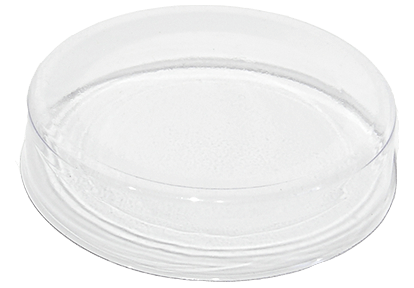 Clear caps are the ideal solution for applications requiring a completely transparent package. These lightweight caps slide on easily yet hold tight. Numerous sizes are in stock for immediate shipment. If you don’t see the size you need listed, please contact your VisiPak sales representative for further information. Tooling costs are very economical.